Are you thinking of purchasing a new home in the Edmonton area, but are unsure of what the financial details will look like? Maybe you just do not know where to start. With that looming “m-word” hanging over your head, you may feel simply too overwhelmed to entertain the thought of buying a house. A mortgage can be a scary thing, but only if you are totally unprepared for it. Getting a mortgage in Edmonton does not have to be a frightening ordeal. Knowing a bit about obtaining a mortgage, as well as what your options are, will help you in your quest for a new place to live. In Canada, you have a number of options in terms of getting a mortgage. Depending on your down payment, you may be eligible for a conventional mortgage. The parameters for this kind of mortgage in Canada are that the down payment you put forward towards the new house equal at least twenty percent of the total cost of the property. This can be twenty percent of the appraisal price if it is lower than the actual cost of the house. You will need to assess your insurance; there are specific insurance companies that are eligible for a conventional mortgage. This is usually dependent upon the location of your home (Edmonton, Claire View, Castle Downs, etc.) If you decide to go with a mortgage period that is twenty-five years or longer, the insurance premium will be higher. CMHC extends a down payment program for homebuyers, particularly to those purchasing a house for the first time. You may fit the requirements for this program and could borrow a decent amount of money for the purchase of the house. An open mortgage entails making payments on your house on your own schedule, and you do not get charged service fees or late charges. The catch is that these mortgages have a time frame of up to one year only. Moreover, open mortgages possess higher interest rates than closed mortgages. With an adjustable rate mortgage, your house payments stay at the same amount indefinitely. 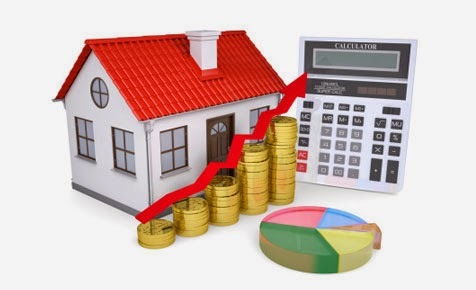 You calculate and determine the set mortgage rate, including principal and interest. As Canadian interest rates go down, your mortgage payments will go towards principal. On the other hand, if interest rates are increasing, your payments will be applied to the interest rather than principal. If you are still unsure of where exactly to begin your home-buying venture, you can locate a trusted online source that can provide mortgage-term definitions, calculators, and experienced mortgage professionals who can guide you in determining a payment option that is specifically tailored to your needs and goals.